Mayo Clinic, medical oncologists, pathologists, surgical oncologists, radiation oncologists, musculoskeletal radiologists, interventional radiologists and plastic surgeons work as a multidisciplinary team to care for people with undifferentiated pleomorphic sarcoma. Other departmental specialists collaborate as needed: gynecologic oncology, ear, nose and throat (ENT) specialists (otorhinolaryngologists), urologic oncologists, and others. Other professionals, such as rehabilitation specialists, are brought in as needed. Undifferentiated pleomorphic sarcoma is rare, and it can be difficult to diagnose and treat. Mayo Clinic doctors care for more than 2,000 people with soft tissue sarcomas each year, including very rare types. This means your care team is prepared with the knowledge and resources to provide you with exactly the care you need. Mayo Clinic doctors bring extensive diagnostic and surgical expertise to undifferentiated pleomorphic sarcoma diagnosis and treatment. Mayo Clinic doctors will work with you to review all of your treatment options and choose the treatment that best suits your needs and goals. 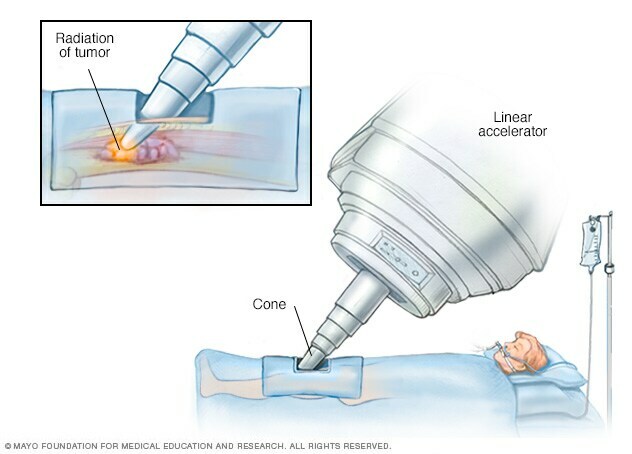 The range of possible treatments for people with undifferentiated pleomorphic sarcoma includes several types of surgery, including minimally invasive surgery and limb-sparing surgery — as well as the latest radiation therapy techniques, including intensity-modulated radiation therapy, proton beam therapy, brachytherapy and intraoperative radiation therapy (IORT). Chemotherapy and biological therapy also are available. Mayo Clinic doctors are continually assessing avenues for possible treatment breakthroughs through research, consistently conducting a range of rigorously screened clinical trials to test new options for people with UPS. Mayo Clinic is nationally recognized for cancer care, including undifferentiated pleomorphic sarcoma care. Mayo Clinic doctors are widely recognized for their expertise in diagnosing and treating undifferentiated pleomorphic sarcoma as well as other soft tissue sarcomas. In addition, Mayo Clinic has been recognized as a top cancer hospital by U.S. News & World Report since it began publishing rankings in 1990.